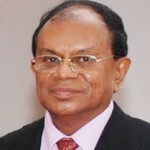 It may appear that Mahinda Percy Rajapaksa has preempted Sarath Nanda Silva. But you never know. The latter may appear before the Supreme Court before the verdict on the 10th. An intriguing constitutional situation has arisen in this serendipity (does it mean strange?) Sri Lanka with two bizarre questions being referred to the Supreme Court by the former in his apparent capacity as the incumbent President. They were buddies few moons ago. Two questions are ordered alphabetically (a) and (b). Logically speaking, (b) should have come first which questions whether there is any ‘impediment’ for him “to be elected for a further term of office.” Rationality, however, does not appear to be of any concern for the existing regime. Both questions are bizarre but the first more than the second. Look at the following formulation in the first. “…to declare by Proclamation my intention of appealing to the People for a mandate to hold office as President by election, for a further term…” (My emphasis). Of course the formulation comes from the 3rdAmendment to the Constitution that JR Jayewardene stealthily passed in August 1982. But now with the 18thAmendment, which was exception before has become the rule. Incumbent presidents after the first elections are not going for competitive elections but to seek “a mandate to hold office.” This is no longer democratic. It was bizarre before. But now it has become a catastrophe for democracy. This is something that all Supreme Court Judges should take into account, if they are independent, in expressing their opinion on the first question referred to them by the President. This formulation itself contradicts the sovereignty of the people and their franchise. Sri Lanka is becoming bizarre and bizarre under the Rajapaksas. Have you tried to log on to the official website for the Constitution? Still the 18th Amendment is not incorporated. Who cares for the Constitution, one may ask. Definitely not the government or the officialdom. If you go by that text, Percy Rajapaksa is definitely out in two years’ time. That should be the case for any healthy democracy. There is a glaring contradiction between the two questions. In the question (a) ‘the date of commencement of the second term of office’ is stated as ‘19th November 2010.” That is not incorrect. But the following is what it says or asks in question (b). How come that he was ‘serving his second term of office as the President’ ‘on the date the 18th Amendment was enacted’? This is contradicted by the statement in the first question quoted before, which is obviously the correct one. How come that the Supreme Court could give an enlightened opinion or verdict on contradictory assertions? There is all reasons to dismiss the submission as bizarre and not based on fact or clear constitutional premises. As the Asian Human Rights Commission (ARHC) has already stated there is a political trick behind the questioning. This goes beyond the intention of tricking Sarath N. Silva. This is obvious from the order of the questions and the confusing statements and resulting contradictions between the two. The reason is also obvious. The disability pertaining to Percy Rajapaksa derives from Article 31 (2) of the Constitution before the 18thAmendment which refers to ‘second election’ and not the ‘second term’ which is clear from the following. 31 (2) “No person who has been twice elected to the office of President by the People shall be qualified thereafter to be elected to such office by the People.” (My emphasis). Of course this is repealed for the future from the date of the Amendment of 8th September 2010, but not for the past. The ability to call for early elections both in the 3rd Amendment and the 18th Amendment hinges on the ‘second term’ and not the ‘second election.’ This is itself a bizarre situation but that is the obvious constitutional position. No one can bypass one to achieve the other. 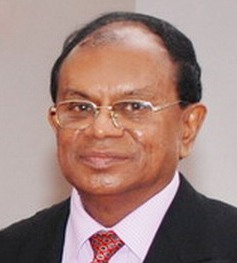 According to the Constitution, Percy Rajapaksa became ‘disqualified thereafter to be elected’ on 27 January 2010. For some reason, this disqualification was not removed by the 18th Amendment. It is very clear that President’s question (b) has not referred to any Article or any section of Article of the Constitution. It refers to the ‘provisions of the Constitution’ in general and the ‘18th Amendment’ again in general. Why? It is very clear that there is no clear article that the President’s claim can be justified. Under the above circumstances, the decision of the Supreme Court is most likely be political, like in many instances in the past, and not judicial. It would be good for the future at least few judges act independently and make it a divided decision.